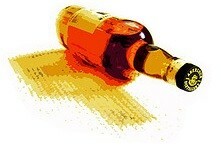 What is the smokiest peatiest scotch whisky? Once you enjoy a peaty scotch in front of a roaring fire, there are fewer things better. There’s just something about staring at the flicker of the flames and enjoying a dram. Chances are you’ve had some Ardbeg or Laphroaig or Lagavulin and you’re wondering if there’s more. Ardbeg is generally regarded as the peatiest and, in terms of the standard lineup, it’s definitely up there. But… there are peatier and smokier scotches. Special editions where the distiller has gone all out. How do you get smoke into a liquid? 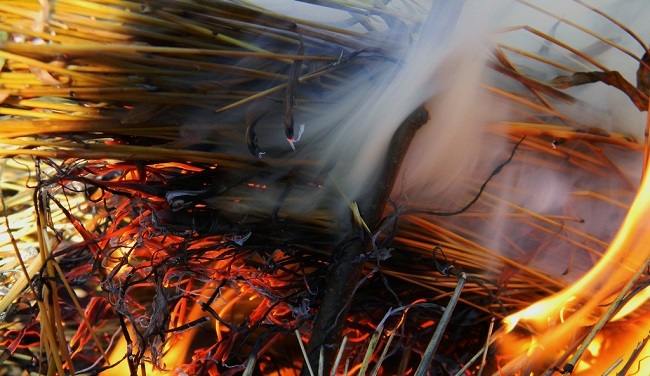 Well, it’s not really smoke (or peat), it’s just what we associate with it. Peatyness is measurable, in phenols, a carbolic acid and aromatic organic compound that makes its way into the barley during the drying process. It’s measured in parts per million (ppm) and the higher ppm means you have more of these aromatic compounds, which means smokier and peatier. Also remember that the measurement is taken of the barley, not of the resulting whisky. What is the smokiest, peatiest scotch whisky? Fortunately, unlike many things in life, this has a quantitative answer – it’s all in the ppm of phenols, which is measurable. Who is king? Bruichladdich Octomore. Bruichladdich is itself an Islay, which is home to some of the peatiest scotch in all the land, but it’s regular lineup is unpeated. It’s only the Port Charlotte and Octomore line that gets the peat. Port Charlotte is “heavily peated” to 40 ppm, which puts it on par with some of their peaty island-mates. Speaking of neighbors, how do some of the other peatiest Islays stack up? Octomore is waaaaay up there. Ardbeg told me, via email, that all expressions are peated to 55 ppm with two exceptions, Bladsa has a ppm of 8 and Supernova has a ppm of 100. I emailed Laphroaig and Lagavulin and will report back if they respond. Phenols aren’t everything though… Other characteristics matter too. Some whiskies will taste peatier and smokier because of how they’re matured. For example, the tasting notes of the 5.1 talk of scents and flavors more often associated with Speysides – like cinnamon, grapefruit, tangerine, and honeyed lemon. It’s paired with more traditional peaty flavors like peat smoked barley, sea salt, light iodine. If you sip some Laphroaig, on the other hand, you won’t get much, if any, citrus. It’ll have a hint of sweetness but you’ll mostly get medicinal, iodine, and smoke. It’ll seem peatier and smokier because that’s all you get, even if the phenol counts don’t say so. A violinist doesn’t play any louder or softer in an orchestra, but he or she would sound louder when playing by themselves. Laphroaig (cask strength) and Ardbeg Super Nova are the smokiest Islay’s I have tried. For a blended, “Peat Monster” is another peaty one. Lagavulin is the most peatiest I’ve had to date. it was almost at the limit with the iodine taste it seemed to have. So far I haven’t met a scotch I haven’t liked. Some more than others but none I wouldn’t drink again. I’ve found out I’m partial to the Islay’s vs. Highland brands. “Peatiest” or “most peaty”. “Most peatiest” is redundant. Wow, a gramarion. I bet you speak inglisch more betterly than other peepul. I like Most Peatiest more better. Johnny Walker Double Black. Only poured once out of a bottle I got over a year ago. Is this any good heard great things for it’s price? Johnny Walker is garbage. If you want blended, look into Compass Box products. My brother in law just got me the Peat Monster, it’s pretty good! It’s my first Compass Box blend and I’m eager to try some more. Nice! Next you’ll have to try Hedonism. Not as big but I prefer its balance with the vanilla notes and spices (and some say coconut which I have a hard time detecting). It’s a touch on the pricey side but tends to be a big favorite of the compass box products. Had a couple of Port Charlotte 10s last night at Jack Rose in DC. Definitely delectable. And I’ll second the nomination for The Peat Monster- I’m still surprised by how balanced the taste is considering the forwardness of the peaty aroma. Nice article Jim. Im not a fan of peat, but the peatiest for me was Lagavulin 16. More than just peat though – it is a great scotch. Johnny walker black, and Macallon 12 are probably the most peaty so far. Prefer something without the smoke.. I agree with Alistair, Lagavulin 16 is the peatiest I’ve had as well (received a bottle as a house warming gift…and does it ever warm!). Not the biggest peat fan out there, but I appreciate it when I have it. Depending on the mood I’m in I’ll reach for it without question. For those who like “a little” peat, I recently had Bruichladdich ‘THE LADDIE TEN’ 10 Year Old. Was much more subtle with a hint of smoke. Even the girlfriend was impressed. Give it a shot if you’re up for it. Well I have to change my views of smokey/peat scotch whisky. Went from my safe Balvenie, Glenfiddich,Glenlivet etc and got some Ardbeg. WOW! Tastes like someone put the ashes from a fire right in my mouth, but followed by a sweetness, and other flavors. I still like my old favorites but I am looking to try more of the peat varieties. Maybe a port charlotte, or something with a bit less peat but not too much less. I think I have been converted. I agree with Gary regarding Ardbeg. Currently, that is the ashiest tasting scotch I’ve had. Many years of Jamison, Bushmills etc but once I tried the Ardbeg…whoahhh that was something really good. It took me a few shots over the course of a week to get used to it but now I can really appreciate that different flavor versus the sweetness found in whiskey’s (i.e. Bushmills). I’ve worked on some Laphroaig bottles but so far, that Ardbeg is my preferred. I’m really interested in checking out that Bruichladdich Octomore. I might be a rookie, but I do like Talisker 10yr. That to me tastes very smokey but without being overbearing. Laphroaig and Lagavulin are fantastic, but my goto has been Talisker for a few years now. After reading this however, I’m off to the store for a bottle of Ardbeg. Thanks for posting this, though. Cory – if you like the peppery finish of Talisker, another one I’d recommend trying is Ledaig 10 yr. I like the vanilla creaminess but also enjoy the multitude of aromas the first hit your nose. I stumbled onto Islay Scotch a few years back with a wee dram of Laphroaig 10 and I immediately became a land-owner there with my first bottle. The next was Lagavulin 16. A recent trip to Scotland took me to Islay for a tour and a stop at most of the southern distilleries including Bruichladdich. Now I do love peat and the PC expressions I tried in the tasting room were great. Then they suggested Octomore – it was 6.1 when I was there – I had never heard of it. It was love at first bite. Wow. I picked up a bottle for the collection back in the States and every now and then I treat myself to a trip back to the island with a dram. I love just about everything that comes out of Scotland – favs are Islay Scotchs (all of them), Talisker, Aberlour, Auchentoshan and Glenmorangie are at the top of the list. But for me, you can’t beat peat. Having had every scotch listed in the article I would agree that Octomore($~150) and Lagavulin($~100) are both exelent choices for a great blend of complexity and smoothness. That said, if you are ever able to get your hands on a bottle of Ardbeg Supernova(~$150) buy them all. It’s complexity and richness of flavor go well beyond any other Scotch I have ever tried. If you are looking for a more affordable price point, I would second the shout out that “The Peat Monster” has received. It is a great value at under $50 a bottle. Just back home after 4 days on Islay. Treated myself to a grand tour at my own favourite; Laphroaig, which ended with filling my own bottle straight from an 18y cask. Managed a quick visit to the rest of the destilleries as well. At Bruichladdich we were offered a taste from a single cask of Octomore placed by the reception, which was quoted to be at 250ppm of peat and 63% alc. The Octomore is fantastic. The alcohol surprisingly balances the peat giving it a great flavor. 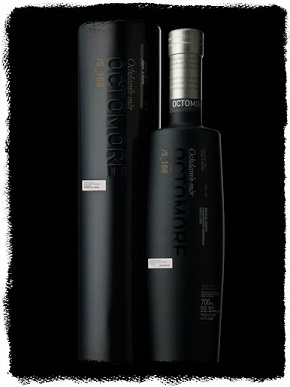 I recently ordered a bottle the Octomore Islay Barley, can’t wait to try THAT one! We did a whisky tasting at Old Course hotel last weekend, and Archie (the guy in charge of the tasting and someone with access to every scotch on earth) cited Caol Ila as his absolute favorite. The peat is prominent but under control. I picked up the 12 year for $67 here in Greenwich CT. I second this! Caol Ila has been my fave for many years now. Looks like I’m late to the peat party, but, thought I would throw in my two cents, just the same. I prefer Ardbeg, when it comes to peaty malts, the Uigeadail, in particular. To me, the tastiest, however is the Ardbeg 17. Unfortunately they do not make that one anymore. Lucky for me, however, a few months ago, my brother, who works for a major spirit and wine distributor, found three bottles of the 17 lost in his wine cellar for ten years. The best bargain peaty scotch, in my opinion, is Black Grouse. It is a blend, but, try it. I believe I taste Ardbeg in that one. The next one I try will be The Peat Monster. Incidentally, I don’t believe anyone mentioned this, but, I find a peaty scotch to be the best malt to sip with a fine cigar. On the best of spring evenings, I will be in the spa in my man cave with a scotch in one hand, a cigar in the other and watching a baseball game. I call it hedonism. Ppm refers to the phenolic content of the malted barley, NOT the whisky itself. With Bruichladdich having very tall stills and a more conical long wash and spirit still shape octomore does not taste any more peaty than Laphroig Quarter Cask or Cask Strength nor some of the Ardbegs. The distillation process at Bruichladdich reduces the phenols in the spirit. As mentioned above the ABV counterbalances the peat in nose and taste. High phenolic taste is best retained in a bowl shaped still with a short neck as in Ardbeg and Laphroig. Definitely learned something from your post. Thanks for sharing! Your welcome. I find the whisky process from start to finish fascinating. Master Distillers and Master Blenders are worth their weight in gold and the is reflected in the variety of aromas, tastes and finishes in single malts. Interesting little aside. Apparently master blenders and master disitillers never travel on the same transport vehicle as their apprentices, so in case of, God forbid, an accident one remains to carry on the tradition and practice. I have been enjoying a bottle of Ardbeg Corryvreckan lately. It’s a peat behemoth and at 57.1% ABV! I highly recommend it. Yeah, that’s a big peat monster there! I just recently discovered my love for peaty scotches. I’ve been drinking the Corryvreckan and it is by far my favorite to date. One of my friends recommended Lagavulin 16 and while it is delicious, it doesn’t quite live up to the peaty flavor of the Corryvreckan. Do you have any recommendations for scotch that is similar to the Corryvreckan? Ardbeg is the peatiest – don’t know how that would match up but it has to be in the conversation. Ardbeg Uighedahl — not sure of the spelling. It is also still available. There has been no discussion of the effect of the source of the peat, not just the amount addded to the barley , on the taste of the whisky. In this regard, I prefer The Isle of Mull to Islay. The Isle of Mull peat, as used in Ledaig 10 year old, seems to impart a much more smoky character, with less of the so called fish-box character associated with Islay peat. Also the peat from Isle of Skye – Talisker and Orkney – Highland Park impart distinctive and different flavour profiles to the whisky compared to Islay. Geoff- Excellent point! And further confirmation of my frequent lament: so many whiskeys, so little time! I couldn’t find the Ledaig 10 in the archaic Pennsylvania spirits system, though they did carry a nice 42 year old Ledaig for only $5,900 and change. I’m going to pass on that one and look for the 10 year old in my out-of-state travels. I’ve done my homework on Peatier Scotches for my husband. I love surprising him with a great Scotch here and there. He loves the harshness of a good smoky peat Scotch – Laphroaig (Quarter Cask) being his go to favorite to date. He’s not a fan of sweet notes, though hints of Vanilla are fine. Heavily smoky, seaweed-led, and salty with a peppery smoke finish are all descriptors he enjoys. He actually really enjoyed Peat Smoke a Benromach Speyside scotch whisky, maybe even more then Laphroaig, but they make such small batches I seldom find it in stock. The other pleasant surprise I found for him the other day, is Finlaggan (Old Reserve), great price point and he said it tasted quite similar to Laphroaig. It’s mystery Islay single malt from an unnamed distillery, purported by many to be Lagavulin. Just wondering if you have heard anything about it’s origin, or have tried it? Two other reasons the Octomore range doesn’t come across as stridently more peated than say an Ardbeg, in addition to the type of still as mentioned in another comment, are: A) I would guess that Bruichladdich, as part of the distillation process, take a narrow cut from the heart of the distillate in order to keep their spirit light and clean. Since the phenols come mainly in the tails, a goodly portion don’t make it into the final new make. B) A Bruichladdich ambassador told me that their peat is not actually from Islay. They bring in a Highland peat from the northeast corner of the Scottish mainland. This provides a less oily, less pungent set of aromas and flavors. Such many and interesting comments on peatiness. all the important peaty malts are mentioned here. I would put in plugs for Laphroig Quarter Cask (at a great price point), and tbe Bruichladdich PC (Port Charlotte) 6 and 7 – is you can still find them. They were part of an intended series that was going to go from PC5 to at least 12 (years maturing) but they got so popular that they changed direction and ended really at 9. There is a 10 but it isn’t at cask strength – if memory serves. For a more subtle peatiness I would strongly recommend the Longrow malts: “Peated” has replaced “CV” but its still at a great price point and any of their age statement offerings….their 18 is both smoothe and more subtlely peaty. THis is made by Springbank, which also makes non peated Hazelburn and of course it’s own label. Good choices, Hal! I have a bottle of the Quarter Cask waiting for me to crack it open- it hasn’t disappointed me yet! I had the PC7 at Jack Rose in DC, and it was a lovely, lovely dram! I’ll have to keep an eye open for Longrow malts. Can’t seem to find Springbank offerings in the Commonwealth of Pennsylvania. I appreciate the recommendation! Went to the Highland Park stand at Whisky live on Friday night. After the obligatory complaint about the name for their distillery (apparently it is their biggest complaint), I tried their new Valkyrie. Not the Peatiest (or Most Peatiest for that matter) whisky I ever tried, but the peatiest I have ever tried with such a low PPM (under 5). Worth a try if you get the chance. I’ve explored most of the peaty scotches over the years. Recently I’ve dipped into the Octomore – which is very good, in its own way. I also love Lagavulin 16. But… imho you can’t beat the character and unique saltiness of Laphroaig 10. All I have left on the shelf is a wee bit of the laphroaig 10. Time to go shopping! Got some great tips from reading this post, thanks to all! I feel the inane need as a violinist to point out that soloists do play louder alone in general, otherwise it would be hard to hear them. Great info – thanks to all. So far my favourite is Ardbog – found it on a discount rack in a New Hampshire state store, incredible luck, fantastic flavour. Has anyone tried Ardbog and have any idea what is currently available and would be close to that? Started years ago on the great Lagavulin 16 – perfect starting point but no where as smooth or as complex as the Octomore – in fact all the Bruichladdich scotch including the non peaty Art 1990 are awesome. What scotch lover wouldnt love them!! If you travel grab some of the Octomore duty free – cant get those one in the local store! !